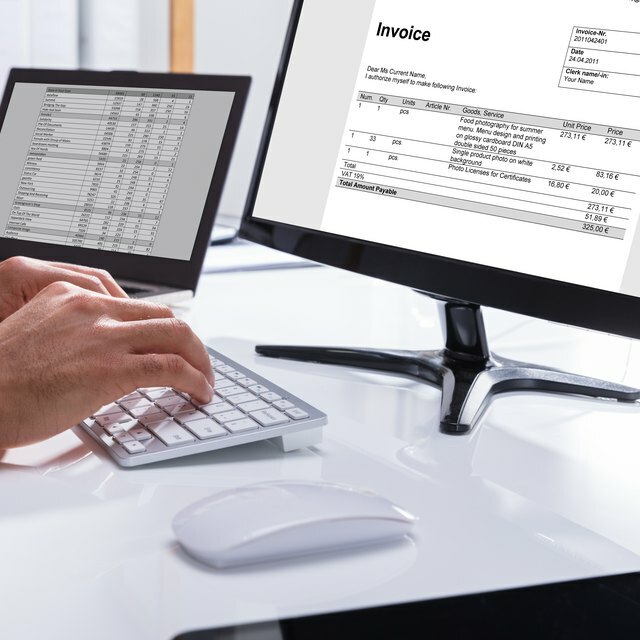 Small business owners often choose to purchase accounting software to assist them with maintaining their financial records. Computerized software automates many calculations and increases the accuracy. Peachtree Complete Accounting 2011, created by Sage Software, remains a popular choice for small business owners and retails for $300 on Amazon.com, as of April 2011. Small business owners need to consider both the advantages and disadvantages of Peachtree Accounting before investing. One advantage of using Peachtree Accounting involves the audit trail it creates for each transaction. Each transaction entered in Peachtree creates a record of the entry. When the business owner reverses a transaction, the software captures this reversal, as well. The recording of each transaction creates an audit trail. The audit trail allows the business owner to review past transactions to see the activity that occurred in a particular account. This audit trail assists the business owner when reviewing customer transactions or preparing for income tax filing. Another advantage of using Peachtree Accounting revolves around the user friendliness of the software. Many small business owners lack technological skills. Software that is easy to use motivates the small business owner to use it more fully. The process of entering each transaction remains easy for the business owner to access and enter the data. Software that the business owner feels comfortable using means that they will more likely continue to use the program and gain the full benefit of the software. One disadvantage of using Peachtree Accounting is that it requires the business owner to configure the software for use in her business. To configure the software, the business owner needs to decide what features she wants to use. She needs to run the setup wizard for each feature on her computer. If the business owner lacks technical expertise, this process can be confusing. How Much Salary Can You Make As a Quickbooks Bookkeeper? What Is Tally Accounting Software? Another disadvantage of Peachtree Accounting involves the sheer volume of features available. Peachtree Complete Accounting includes modules to manage accounts receivable, accounts payable, payroll, inventory, banking, time billing, job costing, general ledger, fixed assets and reporting. Many small businesses need only a few of these features to manage their businesses. For instance, a business with no employees does not need to use payroll. A company that only sells products for cash does not need to manage its accounts receivable. The business owner purchases all of these features whether he needs them or not.